Decatur, Illinois is one of the top 25 trade cities in the country, which ties the city close to the transportation industry. Decatur is home to an inland port and three rail connections and located near several major trucking routes which allow for the transportation of the freight produced by the city’s large manufacturers and production facilities. The density of trucking traffic makes it more dangerous for local motorists to travel as it increases the likelihood that they will be involved in an accident and the Decatur truck accident attorneys of Rosenfeld Injury Lawyers LLC are always prepared to represent the interests of those demanding compensation from negligent drivers and corporations. As the home to production plants for Caterpillar, Mueller Co., Archer Daniels Midland and Tate & Lyle, Decatur commands a strong presence in the regional transportation network to ship the products it produces. Archer Daniels Midland and Tate & Lyle both process and distribute corn, and Caterpillar is one of the largest manufacturers of heavy machinery in the world. The Midwest Inland Port established in 2013 allows Decatur to serve the needs of 95 million people in a 500-mile area, and this has created an additional demand for the transportation of freight arriving at the port. Norfolk Southern, CSX and Canadian National all serve an intermodal container ramp created by Archer Daniels Midland, but the railroads also transport freight into the city which is disseminated via semi-tractor trailers. The critical truck routes in the area follow I-72 as well as Rt. 51, Rt. 36 and Rt. 121 and millions of trucks travel these roads every year. Every driver makes mistakes from time to time, but it is vital that those driving machinery capable of obliterating smaller vehicles on the road be held to higher standards. The primary motivation for reckless behavior comes from truck companies threatening their employees if they miss strict deadlines and the encouragement of those same drivers to skirt the law regarding how many hours they may work given any specified period. The symptoms of fatigue closely mimic those of drunkenness and include delayed reaction time, impairment of judgment and difficulty concentrating on tasks. In addition to overworking drivers, many trucking companies do not adequately maintain their trucks, and when vital equipment fails, it can result in devastating accidents. 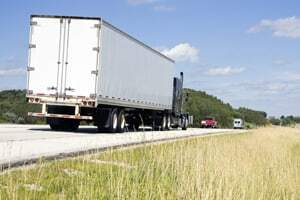 Tire blow-outs, brake failures, and hydraulic malfunctions can all cause the driver of a semi to lose control and collide with other vehicles. When truck companies allow or encourage their employees to operate poorly maintained vehicles and refuse to perform routine inspections or maintenance, they must be held responsible when those decisions result in catastrophic injuries and fatalities. If you have been injured in a truck accident, it is entirely within your rights and advisable to demand the driver and his or her employer be held responsible. In addition to providing compensation for the cost of your medical treatment and other financial losses, a truck accident lawsuit will duly punish the responsible party for its reckless and negligent behavior. The Decatur trucking accident attorneys of Rosenfeld Injury Lawyers LLC have helped thousands of clients across Illinois recover compensation for their injuries and would be happy to review your case during a free consultation. Our comprehensive team will perform a thorough investigation, relying on accident reconstruction specialists, medical experts, and experienced lawyers to accurately assess the value of your case and chance of a successful recovery of compensation. Once we have reviewed your evidence, we will cover your legal options with you and let you know exactly what to expect throughout the entire process if you proceed with an Illinois truck accident lawsuit. Our attorneys will only collect a fee if we win or settle your case and if we fail to do so, our services are free.